R.O.C.K. is an award-winning nonprofit providing positive opportunities for children and youth in San Francisco’s Visitacion Valley.  R.O.C.K.’s programs are designed to serve over 500 children ages 6-17 utilizing a proven youth development framework. Programs span the entire year and take place during the school day, after school, weekends and over the summer. R.O.C.K. provides sports/fitness, academic support, learning enrichment, community service, outdoor adventures, leadership training and job opportunities to a community lacking in resources. R.O.C.K. is proud of its more than 22 years of service and commitment to the community in Visitacion Valley. Faced with new challenges such as the changing nature of the community R.O.C.K. serves, the increasing cost of living and operations in the Bay Area, the proliferation of nonprofits, and the increasing outcomes-orientation of funders, R.O.C.K.’s board and executive staff have committed to a strategic planning process with the ambitious goal of “taking R.O.C.K. to the next level.” R.O.C.K. is seeking to celebrate and build on its 22 years of impact and many significant assets while humbly engaging on the highest-level questions related to its identity and objectives as an organization. Please download the below attachments for details on the RFP. Completed proposals are due on Friday, November 11, 2016, 5:30pm Pacific Time. Question: May we ask for a brief description of the organization’s stakeholders. Specifically, in addition to the Board of Directors, the executive staff, and high level donors, who are the stakeholders R.O.C.K considers important to the change management process? For instance, do the public schools, community organizations, and/or media require consideration in the change management process? – Non-executive level staff – Our total staff count is 49 (12 full-time, 37 part-time). – Public school administration – We work with two local schools, an elementary and middle school where we run programs both during the school day and after school. – City Partners – Department of Children, Youth & Families, San Francisco Unified School District and the SF Beacon Initiative. Question: What forums do you typically use to share progress and/or garner support from the local community? Answer: For local community progress, we update using a variety of means including community meetings, emailss and in person communication. Question: Also in regards to stakeholders, are there any groups that you have concerns about either not buying into the way forward or needing to be more engaged in the Strategic Planning process overall? If so, are you able to share why these groups may be more resistant to any proposed changes? Answer: Overall, we want to ensure our management staff buys into the process and the plan as they are the team with feet on the ground. In addition, we need to be aware of the requirements of our public funding contracts (e.g. ExCEL from SFUSD, DCYF, etc. ).